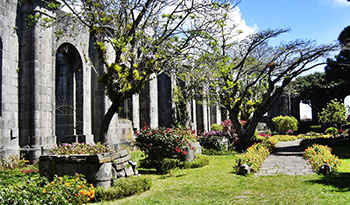 Cartago, the original capital of Costa Rica, is a charming city with a small town feel. The cool weather, family friendly atmosphere, and plethora of amenities continually attract tourists, expatriates, and retirees. For those looking to relocate to Costa Rica, Cartago offers a happy medium between the big city lifestyle and country comforts. Real estate, rental and vacation rentals are often priced lower in Cartago than in the neighboring cities of San Jose and Escazú. Instead of luxury homes and large estates, one is more likely to find more traditional style family houses. However, gated communities and condominiums are becoming more common with each passing year. Lots and farms are easily acquired in Cartago, making investing in Costa Rica simple. Thanks to an active farming industry, there is rarely a shortage of available land for purchase. You can find lots in the heart of the city or within the outskirts as well. Vacation rentals are common throughout the Central Valley. Equipped cabins with mountain views can be found for as little as $60 a night in Orosi. Long term, larger rentals with comfortable amenities generally start at around $125 a night depending on the season.